Is there an easy way to transform a standard box or rectangle to look like this? I am referring to the sharp sloped orange box in the picture. As far as I know, one can only install round edges. With "easy way", I mean a method without subtracting shapes or carefully aligning the nodes. Maybe some filter? Lets say you want the angles to cut 20px into the corners of rectangle measuring 200px x 100px. 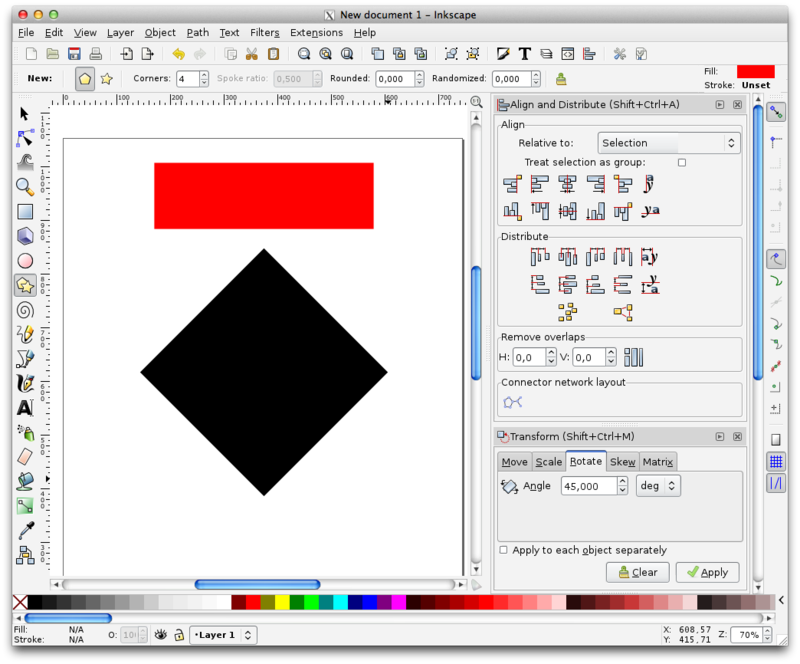 First create the 200px x 100px rectangle using the rectangle tool. Specify in the options that you want rounded corners of 20px. Return to the selection tool (F1) and from the menu select "Path" -> "Object to Path". 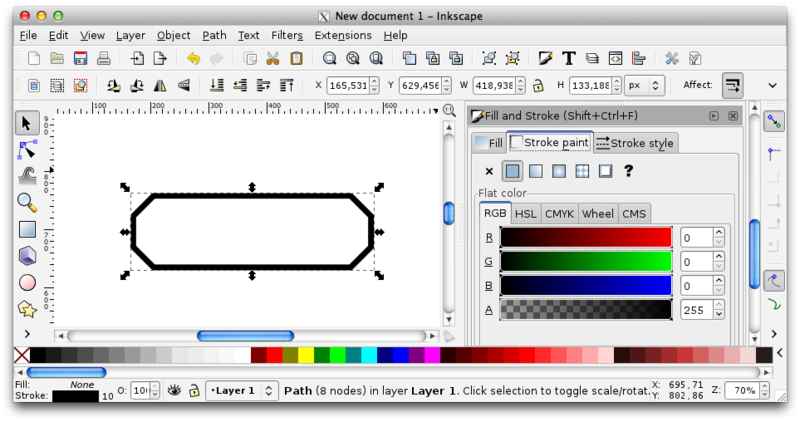 Select the node tool (F2) and then select all of the nodes by dragging the mouse over them. Double click the node button called "Make selected nodes corner" (7th button in). That should transform the rounded edges to square edges are you are looking for. How to make one object fully cover another and how to get rid of fuzzy edges/corners in Inkscape? 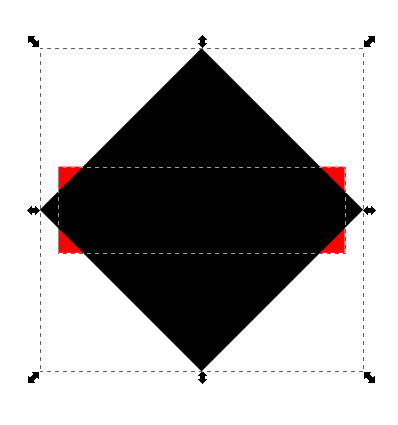 What is the technique in Inkscape to create smooth edges rounding corners? How do I feather the edges of a geographic border in Inkscape?